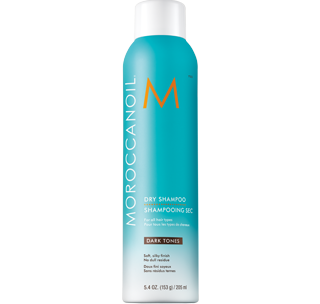 Moroccanoil launched its dry shampoo in two formulas: for Light Hair Tones and for Dark Hair Tones and we’ve got it in stock! (Everyone is raving about the stuff, just read the InStyle review.) This cleanser disappears instantly, leaving no dull residue. Absorbs oil, buildup and odor, leaving hair instantly cleansed and refreshed. It doesn’t leave behind that noticeable powdery residue unlike many dry shampoos. Dark Hair Tones formula maintains the natural richness of dark tones and leaves hair refreshed. UV-protecting, argan oil-infused. Light Hair Tones formula maintains the integrity of light tones. Like concept of the purple “wet” shampoo, it and contains subtle violet undertones to help balance brassiness and bring out the best in light tones. UV-protecting, argan oil-infused. 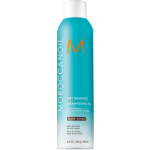 The team at Meridian Salon is sure you’ll love Morrocanoil Dry Shampoo. Come in and give it a try. We have samples available to try before you buy! Want a little more coverage? How does a little camouflage for over-due root touch-ups sound? Then Bumble and bumble’s A Tint of Brown Hair Powder may be the product for you. Both of these products, Moroccanoil’s Dry Shampoo and Bumble and bumble’s Hair Powder made Allure’s list of top dry shampoos for brunettes.